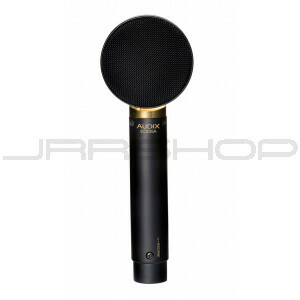 1" studio condenser with isolated shock mount capsule design. 48-52 volts phantom power. The SCX25A is a professional studio condenser microphone with an elegant design and a patented capsule suspension system. Uniquely shockmounted within an intricate machined brass ring, the SCX25A capsule is completely isolated from the mic body and electronics. By successfully minimizing acoustic reflections and diffractions, the SCX25A delivers a pure, open-air sound with exceptional detail and realism. In addition to vocals, the SCX25A is ideally suited to capture acoustic instruments such as piano, guitar, vibes, woodwinds, brass, percussion toys, drum overheads, orchestra and symphony sectionals. The SCX25A, which is manufactured to exacting standards and tight tolerances, features a precision machined brass body, innovative capsule suspension system, steel mesh grill, black e-coat finish, laser etched model and serial number, Switchcraft® XLR connector, and heavy duty nylon clip.